Liverpool FC are one of the biggest clubs in Europe and around the world, so it’s great to see them playing well in a European competition again. It has now been 11 years since that incredible comeback against AC Milan in Istanbul to win the Champions League final. So can Liverpool go all the way to Basel this year and end the wait for European success? Liverpool finished sixth in the 2014/15 Barclays Premier League season and were rewarded with a place in the Europa League. They were put into a group with Bordeaux, Rubin Kazan and FC Sion. Liverpool started their European campaign with three straight draws. However, two of those draws were at Anfield where they were expected to win. They then managed to get two straight wins against Bordeaux and Rubin Kazan. A draw against FC Sion in the final game made sure that Liverpool topped the group and progressed into the knockout stages. 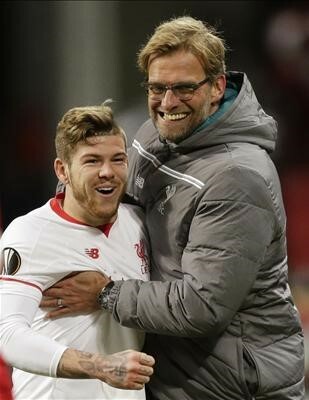 In the round of 32 Liverpool were drawn against FC Augsburg, a German side they were expected to beat comfortably. The first leg was in Germany and it proved to be a very tough match. Liverpool really struggled to break down the Augsburg defence and had a lot of defending of their own to do! There were no goals in the first leg, which meant a nervous trip back to Anfield as the away goal rule was now in play. 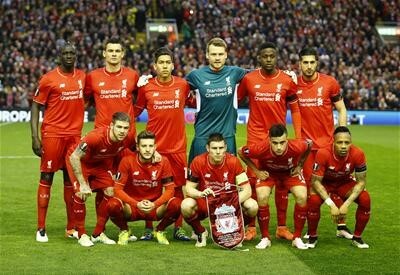 The second leg was a much better all-round performance by Liverpool and couldn’t have started much better. They were in the lead within five minutes courtesy of a James Milner penalty. They pressed and pressed for that second goal, but it just wouldn’t come. However, it didn’t matter as the game finished 1-0 and they progressed into the last 16. One of the greatest sporting rivalries is between Liverpool and Manchester United, and that’s exactly what we got for the last 16. The first leg happened at Anfield on 10 March and the second leg was at Old Trafford a week later. Liverpool started the first leg brilliantly and were rewarded a penalty after 20 minutes that Daniel Sturridge put away to make it 1-0. Liverpool were piling on the pressure throughout the whole game and were clearly the better team. Finally they managed to beat David De Gea for a second time after Roberto Firmino slotted home from close range. It finished 2-0 Liverpool on a night where it could have quite easily been 4-0 or 5-0. The second leg was always going to be interesting. United only needed one goal and the tie was back on, but Liverpool knew an away goal would most likely put them through. However, a silly tackle after 30 minutes from Clyne meant that United were rewarded a penalty, and it was put away by Anthony Martial. 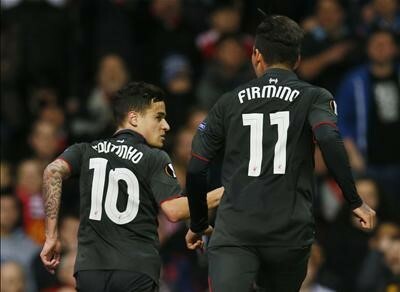 The tie was well and truly back on now and it looked as if United would be heading into half time 1-0 up – until Philippe Coutinho produced a magical solo goal to silence the crowd and put the tie to bed. The game finished 1-1 on the night and 3-1 on aggregate. Liverpool were drawn against Borussia Dortmund in the quarter-final. This set up a mouth-watering tie as Klopp would be facing his former club – and Liverpool and Dortmund fans are arguably the best set of fans in the world! Liverpool would play away for the first leg, which would be an incredibly hard leg to try and get a result. The atmosphere in the Westfalenstadion was electric as expected and the Liverpool fans were making themselves heard. Dortmund started on the front foot and had lots of chances early on. But it was Liverpool who took the lead after James Milner flicked it onto to Divock Origi, who finished superbly. It went into half time 1-0 to Liverpool. Dortmund always looked likely to score, however, and that’s exactly what they did just three minutes into the second half, as Mats Hummels headed home from close range. After the equaliser the tie became quite an open game, with both teams creating chance after chance. It eventually finished 1-1, which set up an exciting tie back at Anfield. Back at Anfield for the second leg the atmosphere was incredible. Both sets of fans sang ‘You’ll Never Walk Alone’ as the teams came out onto the pitch. It was going to be an interesting night. With the away goal under their belt, Liverpool knew that if they kept a clean sheet they would go through. It didn’t last long. In just five minutes Dortmund took the lead when Henrikh Mkhitaryan calmly finished after Mignolet made a fine save. It got worse for Liverpool four minutes later when a quick counter-attack from Dortmund allowed Aubameyang to get in behind Liverpool’s defence. He smashed it past Mignolet to make it 2-0 within ten minutes. Liverpool now needed to score three goals without conceding any more to progress through to the semi-finals. For the next ten minutes Liverpool were on top and created a few chances, but none found the back of the net. Mignolet then got an important hand on Lucas Piszezck’s cross to deny Aubameyang his second goal of the game. The first half ended 2-0. Even though Liverpool were losing there was still a fantastic atmosphere inside the ground, with the Liverpool fans remembering Istanbul in 2005 where they came back from 3-0 down against AC Milan. Liverpool were attacking toward the Kop in the second half and within three minutes Divock Origi toe-poked home. It was the exact start Liverpool needed. However, it was short-lived: Marco Reus soon put the visitors 3-1 up, and it looked like the tie was over. Phillipe Coutinho gave Liverpool a glimmer of hope when he superbly curled the ball pass Weidenfeller to make it 3-2 with 20 minutes left. Liverpool pushed for the equaliser and eventually it came from the unlikely source of Sakho. It was now 3-3 on the night and 4-4 on aggregate, but Liverpool still needed one goal to stop Dortmund going through on the away goals rule. It looked like Dortmund were going to hold out to progress, until Dejan Lovren headed home an excellent cross by James Milner in the 91st minute to break the Dortmund fans’ hearts. It was one of the best comebacks in Liverpool’s illustrious history, and certainly a night that will go down in the history books. 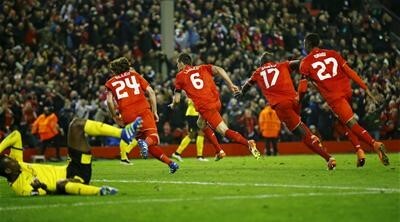 After Liverpool’s incredible comeback against Borussia Dortmund, they were drawn against the Spanish side Villarreal. They’ll play away in the first leg on 28 April and will play the second leg on 5 May at Anfield. If they can beat Villarreal they’ll face either Sevilla, who are trying to win the trophy for a third year in a row, or Shakhtar Donetsk, who are trying to win the trophy for the first time since 2008/09. The final will be held in Basel on 18 May – who do you think will be there?